My first purchases of Guatemalan textiles were from refugees fleeing their country's civil war and taking refuge in Mexico, where I was living in 1985-86. I traveled to Guatemala in the fall of 1986, when the civil war was contained enough to make it safe to take adult study groups to the country. I had appreciated the textiles as finely crafted works of art, but it was an incredible gift to see whole villages of Mayan women wearing them. Some of the men were also wearing “traje,” or the traditional dress they had worn for about 500 years. I came to understand the patterns in the weavings reflect important symbols in Mayan belief systems. As I continued to take study groups to Guatemala, I purchased textiles directly from the weavers or from cooperatives. 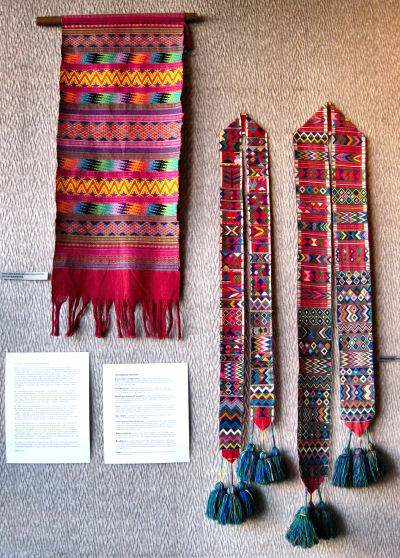 The prices paid did not reflect the hours and hours of work women put into weaving these items, mostly on back-strap looms tied to a post or roof beam in their family's patio. Many of the women selling textiles had been widowed during the civil war and weaving was their only way to support themselves. By 1988 I moved to Guatemala City to set up programs there full-time. My mother and father, Carolyn and John Cain, joined me for Christmas that year. We traveled to the regions where these textiles come from: rugged mountains, lush vegetation during rainy season, little adobe houses scattered among corn fields on the mountainsides, beautiful textiles at every turn, including those spread over the bushes to dry after being washed in the streams and at community wash basins. On my most recent trip to Guatemala a year ago, I was very saddened to see that very few girls in the rural areas were wearing traditional dress. The civil war has ended, but the poverty that caused it has not been addressed. 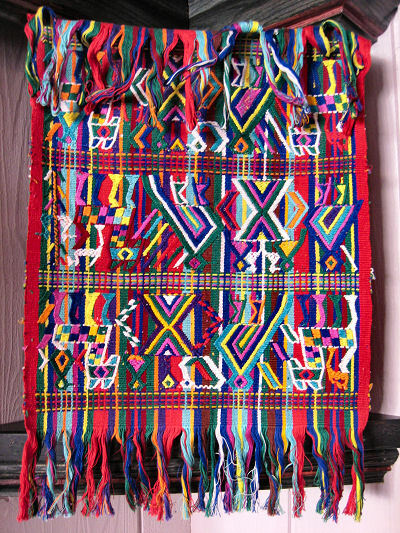 The women can no longer afford to weave for the family, but instead weave items to sell to tourists, often with lesser quality materials and simpler patterns. Most sell to intermediaries because they do not have access to markets. A few participate in fair trade programs, through which they get a fairer price for their work. 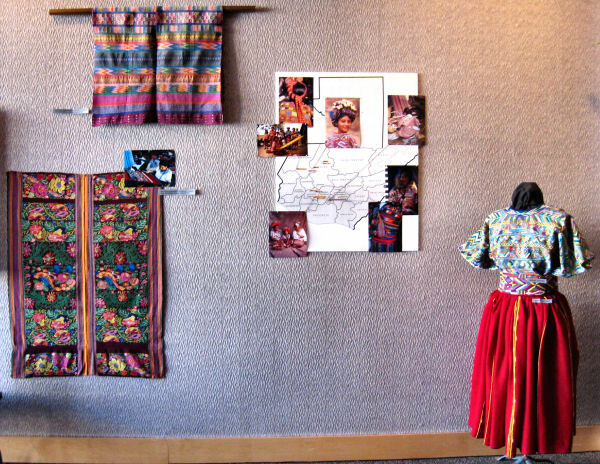 We hope you enjoy these creations that reflect the artistry and wisdom of strong Mayan women, and we hope for the day when economic conditions allow them to again weave their stories through their clothing.